Do I need a personal injury attorney for my auto accident? Orange County – Do I need a personal injury attorney for my auto accident or can I represent myself? Should Parents Found Guilty of Domestic Violence have their Parental Rights Terminated? FAQ: Do I need a personal injury attorney for my auto accident in Orange County, CA or can I represent myself? Do I Need a Personal Injury Attorney for My Auto Accident in California? Auto accidents can be a tricky thing to deal with, whether you come out of them with an injury or not. Often, symptoms of injuries that resulted from car accidents don’t appear until days or weeks after the accident has occurred, by which time you may have already negotiated with the insurance companies. Not only is it always a good idea to discuss your situation with a personal injury lawyer, but you should always see a doctor following a car accident just in case you have suffered an injury that is not yet showing symptoms. In addition to fighting for compensation for injuries suffered in an accident, your lawyer can help show that latent symptoms were a result of the accident as well, and ensure that you receive all of the compensation that you deserve. If you have been in a car accident, always see a doctor first. Once you are out of harm’s way and have been looked at by a doctor, contact a personal injury lawyer. How Can a Personal Injury Lawyer Help You Following a Car Accident in Orange County? How Can a Personal Injury Lawyer Help ME!, Following a Car Accident in Orange County? There are many ways that hiring an attorney can benefit you if you’ve suffered an injury in a car accident, especially when compared to fighting with insurance companies without an attorney. In California, you have certain rights, but it is up to you to enforce those rights when they apply. Your lawyer can help you understand your rights and the steps that you need to take to enforce them. For example, if you suffer injuries as the result of a car accident in California, you have a right to receive compensation for things like medical care and lost wages from those injuries. A lawyer understands the law, and a great lawyer will help you understand how the law applies to your specific case. A great personal injury lawyer will also advise you on the best way for you to proceed with your case. Working with a lawyer is the best way to get the results you want. 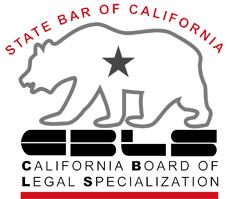 There are many laws in California that apply to car accidents and the injuries related to them. For example, there is a statute of limitations, meaning there is a limit on the amount of time a person can wait after an accident or injury occurs before filing a lawsuit. When it comes to filing a personal injury lawsuit, the statute of limitations is two years. If you are filing a lawsuit regarding property damage, on the other hand, you have three years to do so. That doesn’t mean that it’s a good idea to wait that long to speak with an attorney! There is a lot of information that can be lost or more difficult to find the longer you wait, including memories, photos, and statements from people who witnessed an accident, etc. Another law that applies to car accident injury claims is one called Comparative Fault. In California, either party, or both parties, can be responsible for causing an accident. When a person is responsible for causing an accident, it means that he or she is “at fault”. California law allows a person to recover damages from any party who is at fault in an accident. However, the amount of damages that can be recovered depends on how much each person was at fault in the accident - and this is where your lawyer comes in. The other party will try to make it look like the accident was your fault, while your lawyer can work to show that it was the other party’s fault. Depending on the percentage of fault awarded to each party, an injured person may be able to claim a different amount or percentage of damages from each party, or, if the injured party is at fault, he or she may not be able to claim a certain percentage. Your lawyer is also a more qualified person to work with an insurance agent, whether your own or the other party’s. Never make an agreement with an insurance agent without first speaking to a lawyer. It can affect the outcome of a separate personal injury case, and it can affect the amount of fault that you are awarded in a car accident, which can affect your compensation. Not only is involvement in a car accident stressful, but injuries can be painful, debilitating, and affect other areas of your life, from finances to physical movement and involvement in activities. One of the benefits to having a lawyer in addition to his or her knowledge of the law and of your rights is that sometimes, battling a legal case on top of suffering injuries can be too much for one person to handle. Allowing a lawyer to handle your case will give you the time and relaxation that you need to heal, which is an important part of recovery after an accident. In some cases, your lawyer’s fees may be included in the settlement you could be awarded following a personal injury case. The process of litigation, from negotiating with insurance companies to filing paperwork and meeting deadlines to actually appearing in court and speaking with a judge or questioning witnesses, can be complex and confusing, especially for a person who may have no experience with the law, is suffering from an injury, or who is emotionally involved in the case at hand. An attorney has the perspective of a third party, the knowledge of a law school graduate, the experience of a legal professional, and often, relationships with other lawyers, judges, clerks, or legal professionals. Getting through the legal process on your own will likely be time consuming and expensive. Hiring a lawyer can help simplify the process, and you can have a person there to explain how the law applies specifically to your unique situation. It has also been shown that when it comes to personal injury claims, working with an attorney increases the settlement that a person will receive. Even considering the cost of an attorney, hiring one will put you ahead in the long run. Not only does a lawyer know what he or she can ask for that you might not, but he or she has the legal experience and knowledge to make it happen. 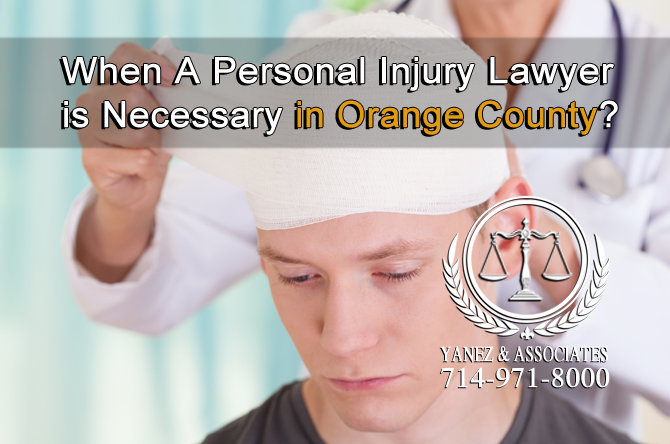 I think it is time for A Personal Injury Lawyer in Orange County, CA! A car accident and personal lawyer really comes into play when you have been injured in a car accident, and you are having trouble receiving reimbursement for things like medical bills, or, when you are seriously injured in a car accident and if affects other areas of your life, like your ability to work. A great personal injury attorney has experience helping injured parties receive compensation for medical bills, lost wages, pain, suffering, and mental anguish. Personal injury lawyers are extremely helpful when your bills are high, or when your injuries are severe and treatment is ongoing. If you are considering hiring a personal injury lawyer, but you aren’t sure, ask yourself a few questions. • Who is at fault in your car accident case? Is there a question as to who is at fault, and how much? If the other party is arguing that he or she is not at fault, or if the other party has a lawyer you should do the same. Fighting to cover the costs of your injuries on your own and against another lawyer is a risky move, and working with an attorney can help increase your chances of receiving adequate compensation. • How long is your recovery process? What did it cost you? How badly are you injured? Make sure that you have seen a doctor, even if you don’t think you are injured at first. Compensation can cover the cost of ongoing care, rehabilitation, lost wages, and more, but you need to work with an attorney who knows what to ask for, and how to get it. • Will you be in court? If the other party is fighting, if they have hired an attorney, or if your case is going to court, you will want an attorney on your side. Appearing in court with the help of an attorney can be stressful, preparing can be time consuming, and simple, seemingly small mistakes can be costly. If you have been injured in a car accident, you should always see a doctor first. Once you have received medical care, contact a personal injury lawyer as soon as possible. Meeting with an attorney in a free initial consultation costs you nothing but time, and it can give you a good idea of how the law applies to your case and whether an attorney can help in your unique situation. Contact Yanez & Associates today. 1 Do I Need a Personal Injury Attorney for My Auto Accident in California? 2 How Can a Personal Injury Lawyer Help You Following a Car Accident in Orange County?